I have heard about SIM card stickers in the past but didn’t really get down to understanding how they work. My usual mode is to bring a MIFI router and use a local SIM. I consider that the best and most economical option. So recently a conversation with a friend about SIM card stickers got me curious again. After looking around, I found KnowRoaming. They seem to have pretty impressive coverage and they have support for unlimited data for quite a number of countries. Since I’m traveling for business, I thought it would be more convenient to use my own SIM rather than to carry another MIFI router around. Cost wise, at one look we already know that a local SIM or MIFI would be cheaper. This is really a test to see how well this thing works. So I got down to ordering one of these SIM stickers. The SIM card sticker cost $29.99 USD. I got a referral code (Mine is HONLI31) from somewhere so the I had a 30% discount on the sticker. On top of that, I got a USD $5 free credit. The delivery of the sticker took about 2 weeks. This is how the package looks like. 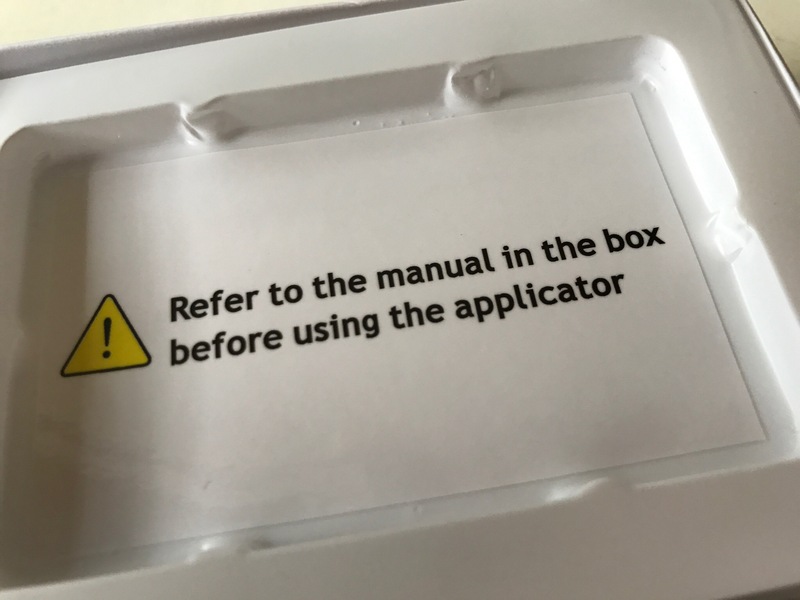 There’s a very clear instruction on the bottom when you take out the contents of the box. I later understood why reading the instructions is important. The SIM card sticker is very delicate and requires tender touch when applying. So if you are getting this, please read the instructions clearly. There is an app that you need to install for this SIM to work. The app is able to detect the SIM sticker and only then will it allow you to continue the setup of the app. My first attempt to use this sticker was during my Japan trip. There was a little confusion when I fire up the app, but I got it solved. I managed to get onto the network after some tinkering. So the first thing I did was a speed test. This was done on the way from Haneda Airport to my first meeting destination. I think it’s quite obvious that the speed and latency is appalling. I did another round of test when I left that location to make sure that it wasn’t a location thing. The result was more or less the same. So I emailed KnowRoaming support. Their turn around was very fast considering the time zone difference. I asked if I could go onto another network in case it was a Docomo issue. They gave me some steps to change the profile and I got onto SoftBank. The result was just as bad. Support concluded that it’s a network issue of the local telcos so it was beyond their control. I wasn’t convinced. Come on. This is Japan, Tokyo. It’s hard to believe that this country has sucky mobile infrastructure. 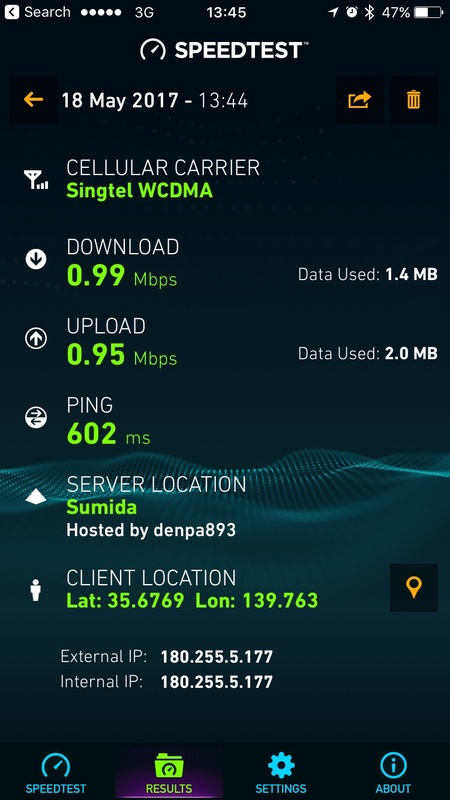 So I switched back to my SingTel roaming to test. Well, the result wasn’t any much better. I wanted to prove the support wrong, but it really wasn’t any better. Although the speed seemed better, the latency was still very bad. I had to buy their story for now. The next test I did was in Malaysia. I know the quality of Malaysia’s network especially for Maxis. I have always used Maxis prepaid cards when I’m in Malaysia and only 2 words – Cheap! Good! This test could tell me if the problem I had in Japan was truly a local network problem or a KnowRoming thing. The speed might look ok, but the latency is very bad. And when translated to user experience, I can only say it’s horrible. Things are hardly loading when I go to webpages, so it’s even worse for image heavy stuff like Facebook or Instagram. And to top it off, the unlimited package is not supported in Malaysia, the charges is like USD $0.40 per MB. I turned off my roaming right after the tests. So let’s see how this works out for me in the end. Definitely no savings. A local SIM card or the SGD $5 per day MIFI definitely beats this hands down. Yes, no SIM card changes or lugging another MIFI device that you need to charge. This is a plus point. Pretty much disappointing. The speed is so bad I had problem loading Google Map when I’m urgently looking for directions. I couldn’t get my Uber in between destinations. That’s how bad it gets, up to 50% of the times I’m trying. The technicality of this from what I can gather is that they probably buying capacity at low cost, hence lower (LOWEST?!) QOS. Just look at the home telco when I’m overseas. They are using capacity from StarHub and Israel when I was in Japan. Essentially I’m still roaming. Initially I thought they would be doing it another way, where they buy local capacity and put them into a SIM pool. So they will assign the local SIM when their users are there. Usually local SIMs are given higher priority on the networks, so the quality should be better. 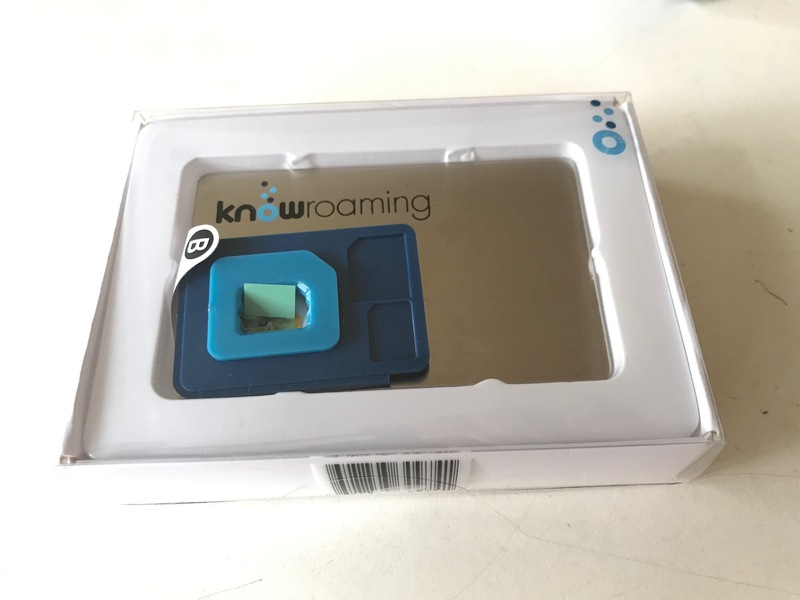 There are good reviews for KnowRoaming on the internet. I only read a few. Maybe I should go read more and see if there are people with the same problems as me. Or perhaps, I’m not the kind of customer they are targeting. I have balance credits that I will be using in Thailand 2 weeks later. Let’s hope I get a surprise. But I will be bringing my MIFI router. Just in case.